Russian Pacific Fleet's marine regiments and Russian Eastern Military District's mechanised infantry brigade hold joint exercise. The development of strategic military infrastructure in the Far East will be the state's priority task in the region for the period up to 2020, the commander of Russia’s Eastern Military District has said. However, one military expert says it is unlikely that Russia will set up new military bases on the Kurils due to geographical risks. The Russian Defense Ministry has sent an expedition to the Far East to explore the disputed Kuril Islands in the interest of the Pacific Fleet. The expedition to the archipelago, which is partly claimed by Japan and remains a source of tension in relations between Moscow and Tokyo, involves six Pacific Fleet ships and vessels and is being led by the large landing ship Admiral Nevelskoi. More than 200 people are participating in the operation. According to the commander of the Eastern Military District, Colonel-General Sergei Surovikin, the state is taking unprecedented measures to ensure the security and territorial integrity in this area and the Ministry of Defense has been tasked to develop military infrastructure on Sakhalin Island, the Kuril Island chain and in the Arctic zone by 2020. According to Surovikin, a planned rearmament of the formations and units is underway as well as work on improving the level of social protection for all categories of military personnel and their families. 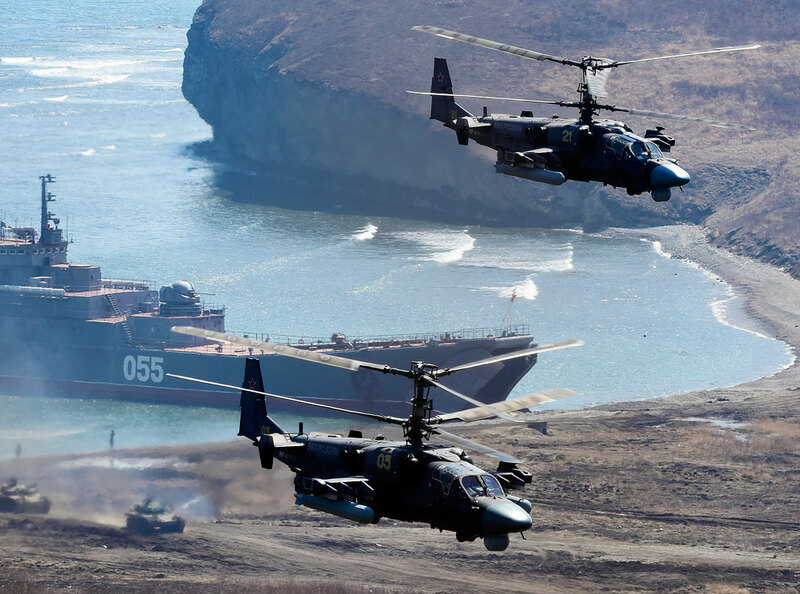 According to Dmitry Safonov, military analyst for the daily newspaper Izvestiya, the armed forces are looking for new basing areas for the Pacific Fleet or dispersal points for the troops. In particular, the Eastern Military District's command is looking for additional options to create positions for air defense and coastal missile units. However, the region has a lot of nuances, which limit the ability of the country's armed forces to carry out their designated role. "Our history has an interesting precedent – the Ministry of Defense set up an air defense base on the island of Shumshu [adjoining Kamchatka], and after a few years, it was washed away by a tsunami," said Safonov. "One has to understand the geographical features of the region and take into account that not all the islands are suitable for deploying military units, not to mention building a dugout and living in it." According to the expert, the Soviet Union made a number of mistakes in the early development of the islands. "At first, everyone laughed that roads on the islands were covered with mesh-netting – they stripped it off and covered it all in concrete, and then built houses on the sides. Then came the fall, and the roads got washed out. “Suddenly it became clear that the Japanese were much smarter than our guys: Mesh-netting held the mud during the rainy season, and it was the only way to travel, rather than 'swim' across the islands." According to Safonov, houses turned into ruins under the pressure of far eastern winds and rains in just one season. And every year, money had to be spent on the restoration of the entire infrastructure. "For how many years did the Soviet government not build anything there?" he said. "Why did they stay only on Kunashir and Iturup [the two islands closet to Japan, under Soviet/Russian control since 1945 – RBTH]? Perhaps it says that the Soviet Union's geologists and geographers had a good understanding of the situation." According to him, Russia will not deploy military units on the new islands. The modernization and re-equipment of the Kuril island range has been underway since 2010. The country's security in this area is still based on the 18th machine-gun and artillery division, which is part of the Eastern Military District. Over the years, it has increased in size and now employs a separate tank battalion equipped with the T-80BV. According to Defense Minister Sergei Shoigu, Bal and Bastion missiles will be additionally deployed there in 2016, as well as new-generation Eleron-3 unmanned aerial vehicles. Also, the Tor-M2U anti-aircraft missile systems were deployed in the Kuril Islands last year. The Kuril Islands currently house the 18th machine-gun and artillery division, which comprises 3,500 troops (in peacetime).The base is armed with:- ZSU-23-4 Shilka and ZU-23-2 self-propelled anti-aircraft systems;- BM-21 Grad multiple rocket launchers (expected to be replaced with the Tornado-G);- Giatsint 152-mm artillery systems;- Tor-M2U anti-aircraft missile systems;- T-80BV tanks. Read more: Should the world worry about Russia’s reformed military?